Sizmek, the open ad management company for multiscreen campaigns, today announced the release of full and self-serve programmatic creative, including rich media and dynamic creative, enabling rapid, easy build out and delivery through DSPs and trading desks. 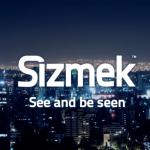 Ideal for advertisers, publishers, ad networks, trading desks and media agencies, Sizmek Programmatic Creative utilizes best-in-class dynamic creative technology to take the guesswork out of complicated data strategies and enable fast deployment of personalized creative across all channels. The new suite also includes solutions to streamline workflow, centralize data, visualize campaign strategy and to collaborate with media and brand teams to deliver relevant, on-target and data driven creative. Additionally, the suite’s authoring tool and templates are designed for fast campaign roll-out of dynamic and rich media that are affordable and move at the speed of programmatic. The first component of a powerful new full and self-serve offering, Rich Media for Programmatic Creative bundles creative, audience and media expertise to deliver performance-driven campaigns. As part of this offering, Sizmek has designed a selection of templates, including rich media, dynamic creative and targeting strategies for rapid deployment. Additionally, the new solution delivers targeted, massive omni-channel reach, dynamic creative, rich media full serve production, ad serving, and Peer39 pre-bid targeting for safety, quality, and content. Sizmek will be introducing additional new features into its Programmatic Creative offering in the near future. For publisher use cases, Sizmek’s solutions extend audiences using creative from direct buys or from private marketplaces in order to gain additional capabilities. For those publishers with limited creative resources or creative teams unequipped to deploy creative for the programmatic ecosystem, Sizmek provides the ability to compete.